While the Medical Residency Personal Statement is important for showing residency Program Directors and interview committees who YOU know you are, another powerful document that provides another dimension to your ERAS Application are your Letters of Recommendation. Letters of Recommendation have many purposes within your application, from proving your dedication and interest in one medical specialty to confirming what you have written about yourself in your Personal Statement. But, sometimes it can be hard to recognize which Letters of Recommendation are a benefit and which are not. The Residency Experts Letters of Recommendation review and feedback service provides residency candidates with detailed reports about the strength of any Letter of Recommendation. The Letters of Recommendation service comes complimentary with Application Solution Packages 2, 3, and 4. As an important piece of the overall ERAS Application, Letters of Recommendation from trusted supervisors or colleagues provide another perspective of a residency applicant. But, how do you know if the letter provided is a benefit or a deterrent to your application chances? The Letters of Recommendation complimentary service will provide much needed insight into the value of each submitted letter. Residency Experts uses a systematic and detailed approach to cover every aspect of each letter to make sure no stone goes unturned. Many residency candidates aren’t just looking for quick and shallow opinions of their Letters of Recommendation, they are looking for the ultimate peace of mind that the letters they are submitting to residency programs are going to present them in the best light. We ensure each Letter of Recommendation in our care is thoroughly evaluated by using a never-before-seen, innovative Letters of Recommendation Protocol Checklist to inspect each of the most important aspects of a strong Letter of Recommendation. Your letter will be carefully assessed for proper professional format, strength of the letter, quality of the content, and much more. While it is highly important that your Letters of Recommendation receive the checklist-based evaluation, it is equally important that your Expert is able to share with you an in-depth and easy to understand summary of their evaluation and feedback. This is why each letter is delivered with its own personalized Protocol Checklist and detailed feedback summary to explain every aspect of your letter’s diagnostic along with any suggestions for improvement if needed. You are sure to gain a deeper understanding of your Letters of Recommendation than you ever thought possible. Have your Letter(s) of Recommendation reviewed and evaluated by the experienced Residency Experts team in only three simple steps. If you select a Package with Letter(s) of Recommendation included, you will be prompted to upload your Letter(s) of Recommendation. Once you submit, your Letter(s) of Recommendation will go to the Expert assigned to your Application Package to review for format errors, quality of the letter’s content, and overall strength of the letter. 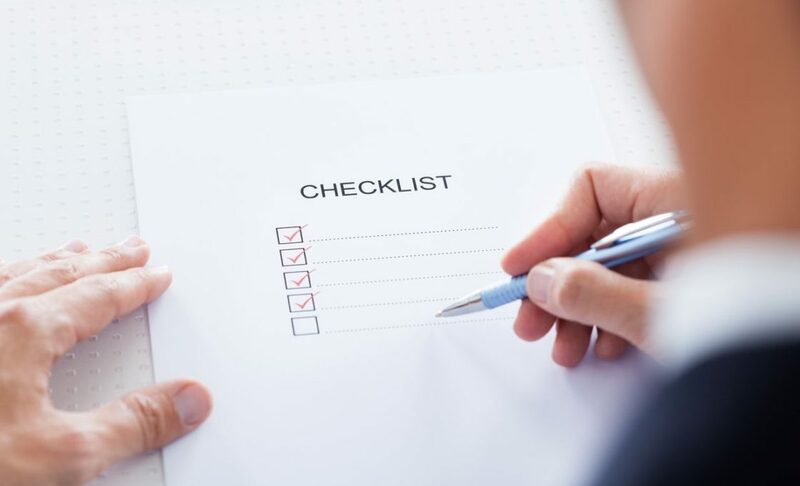 When your Letter(s) of Recommendation have been completely reviewed, you will receive an evaluation complete with the Letters of Recommendation Protocol Checklist, and Reviewer Summary and suggestions. To get started with Residency Experts for your Letter(s) of Recommendation, you will need to first create your account to access our innovative platform powered by SurveyMonkey. Second, select the Application Solution Package that best suits your needs that includes Letter(s) of Recommendation services. Finally, submit your Letter(s) of Recommendation for review and expert feedback. What does the service do for my Letters of Recommendation? When you submit your Letter(s) of Recommendation, they will be given a thorough and comprehensive analysis based on Expert training and the Letters of Recommendation Protocol Checklist. Can the Experts write a Letter of Recommendation for me? Any Letter of Recommendation you submit to residency programs should be written by or at least from someone who has worked closely with you and knows you and your brilliant qualities. Therefore, the Residency Experts cannot write Letters of Recommendation for you. You may submit up to as many Letters of Recommendation are included in your Application Solution Package. Can I submit Letters of Recommendation later? All Letters of Recommendation must be submitted with the rest of your Application Solution Package. This depends on the Application Package you choose. Your Letters of Recommendation are another way to prove your dedication and interest for one medical specialty. Residency programs like to see Letters of Recommendation with a focus on their specialty which they know takes time and effort to obtain. Having only generic Letters of Recommendation can make you look unfocused or unmotivated. The source of your Letters of Recommendation matters, and choosing the wrong letter writers could bring down the strength of your entire residency application. Your letter writer needs to be capable of writing a letter that proves a working relationship, and an intimate knowledge of your best qualities. Some other added benefits are if the letter writer has a prestigious title or if they practice in the US. The process of getting Letters of Recommendation uploaded with enough time to submit with the rest of your ERAS Application can be difficult to gauge. Residency candidates may not be aware that since their Letters of Recommendation submission is reliant on a third party much of the time, it can take longer than expected to have them ready to use. Be sure to communicate with your letter writers early to avoid the complications of late Letters of Recommendation. You can also offer technical assistance or additional resources to help them with the process. When it comes to applying to residency programs through ERAS, residency candidates need to proceed with the utmost caution. Surprisingly common mistakes candidates make is either assigning the wrong letters to the wrong residency programs or forgetting to assign any letter at all. Make sure you understand the Letters of Recommendation part of the ERAS system as clearly as possible and to review your choices before submitting any applications. Residency candidates often do not know the ins and outs of communicating with their letter writers to ensure the letter ends up being a benefit to their ERAS Application. When they request a letter, they might leave out vital information such as the medical specialty they would like the letter to focus on. It is also a good idea to offer supplemental documents to help them remember you such as your completed Personal Statement or CV.